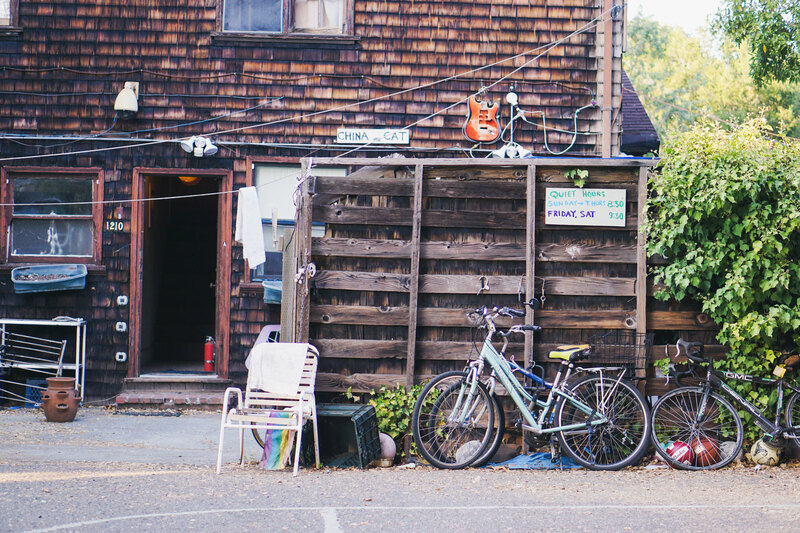 How new grads are curating community where they live. WHAT MAKES US FEEL AT HOME? Is it the furniture or the floor plan? The photos on the wall? Or is it mostly the people we invite in? With interior decorating, strategic party planning and a little help from Mom, these alumni are figuring out how to strike out on their own without feeling alone. 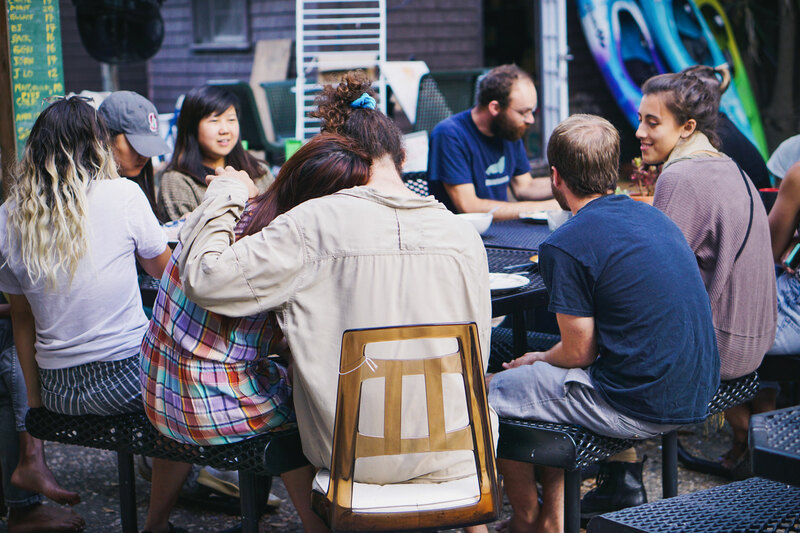 Landlord Rob Levitsky and a gang of recent Stanford grads gather around a courtyard table at their off-campus cooperative house for a dinner of veggie stir-fry, kale salad and sliced baguettes. As residents arrive, they fill their plates from the buffet and flop into seats around the big metal table. 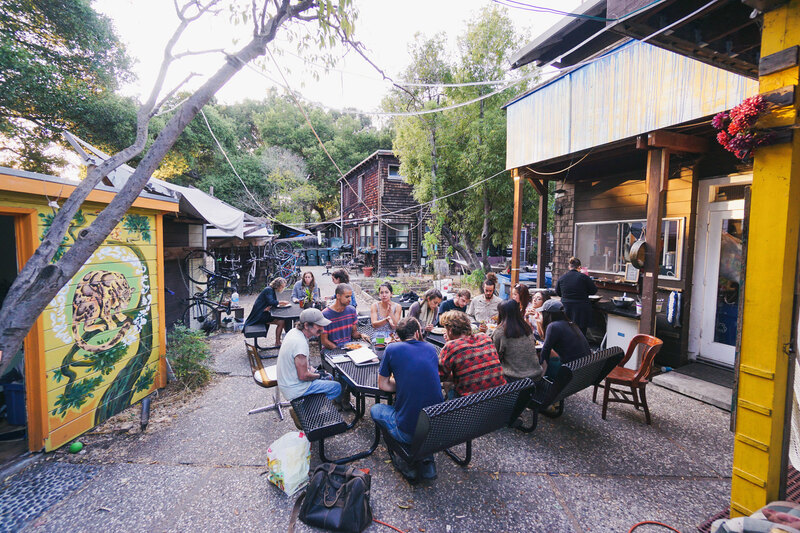 Group dinners are a ritual at the Dead houses—the nine Grateful Dead-themed co-ops Levitsky owns in downtown Palo Alto. (Each is named for a song.) 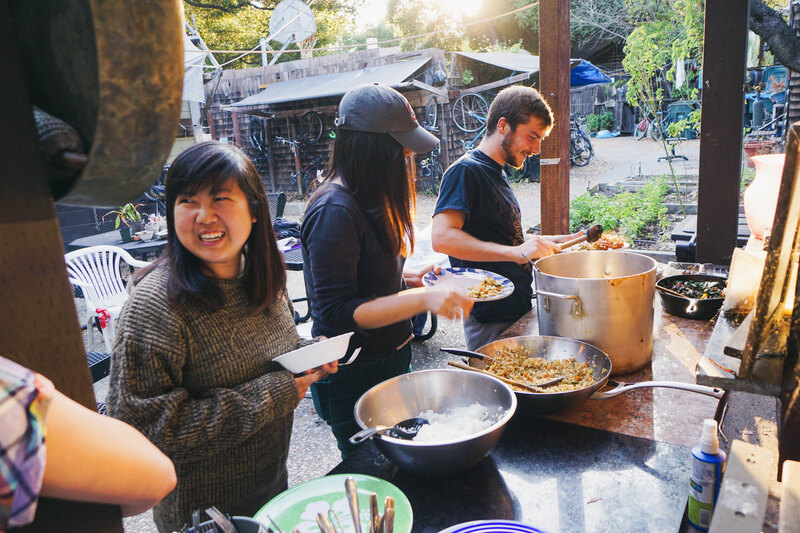 Since the 1990s, the houses have formed a communal village for dozens of Stanford graduate students and young alums interested in sharing their space, meals and housework. Ranging widely in size, the homes accommodate anywhere from two to 10 people. 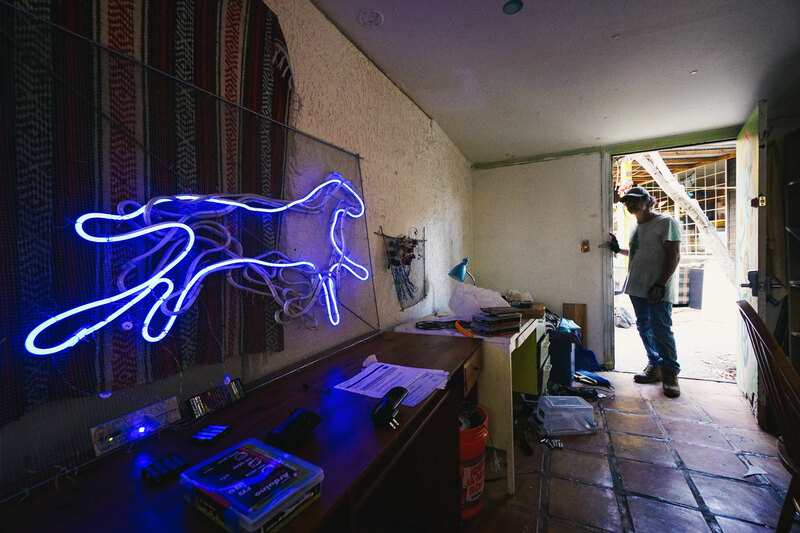 “It’s not that different now than it was when we started,” says Levitsky, 62, a former Silicon Valley chip maker—and “dancing bear” for the Dead—who began investing in local real estate back in 1982, when it was affordable. Today, he owns two acres of prime real estate near campus. Residents pay far below market rates, most renting for under $1,000 a month, but they come for the community, not just the price. Residents say the community provides an important support system—there’s someone to take you to the airport, or check in with you after a surgery. A task calendar keeps household matters on track, with small teams assigned to cook, clean and garden. Weekly house meetings allow for consensus decision-making, which can “take a long time,” Levitsky admits, but residents buy into the philosophy before they move in. The living room in Uncle John’s Band hosts musical gatherings and acroyoga (a combination of acrobatics and yoga), and friends gather in the kitchen every night, whipping up treats like berry cobbler. Nearby are garden plots, where tomatoes, beans and basil need watering and weeding. 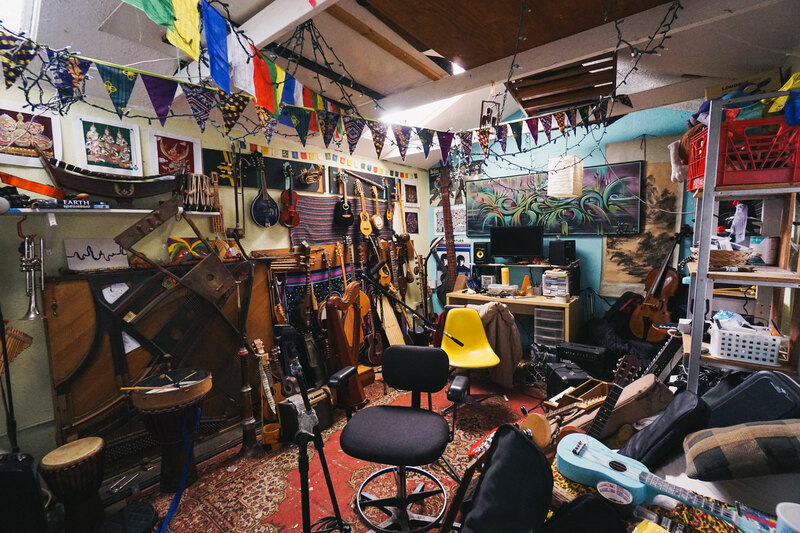 A shack acts as a music studio for a collection of instruments from around the globe. 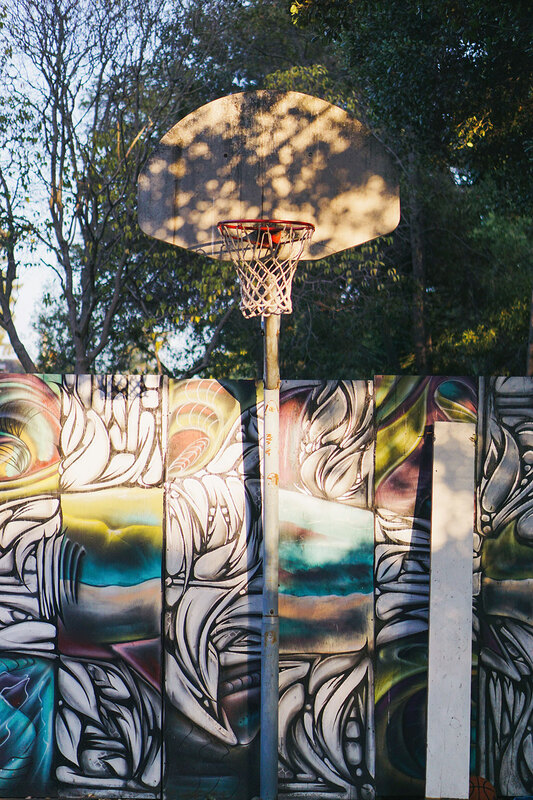 There’s a basketball hoop and multiple bike racks. Coming home after work to an empty apartment can be hard after four years in a dorm, where an open door often ensures a constant influx of friends. “I am a mixture of lonely and doing OK,” says Michela Rodriguez, ’18, who moved to New York in July. Her roommate, a best friend from childhood, was due to arrive in October. But she says that StuyTown, the 80-acre planned community of apartments where she lives, is “a nervous parent’s dream.” It has blue-light emergency phones like the ones on campus, a 24/7 neighborhood watch and a robust lock system. At first Rodriguez wasn’t at all sure that living in a planned community—even one in Manhattan—qualified as her dream New York experience. But then her mom flew to the city to scout housing while Rodriguez finished her honors thesis and wrapped up finals. The convenience and safety of the neighborhood near the East Village outweighed her desire to dive into a grittier version of city life. “I am very lucky to have a mother committed to helping me find a home,” she says, comparing the experience to moving into the dorm four years ago—only this time, she chose her own bed. 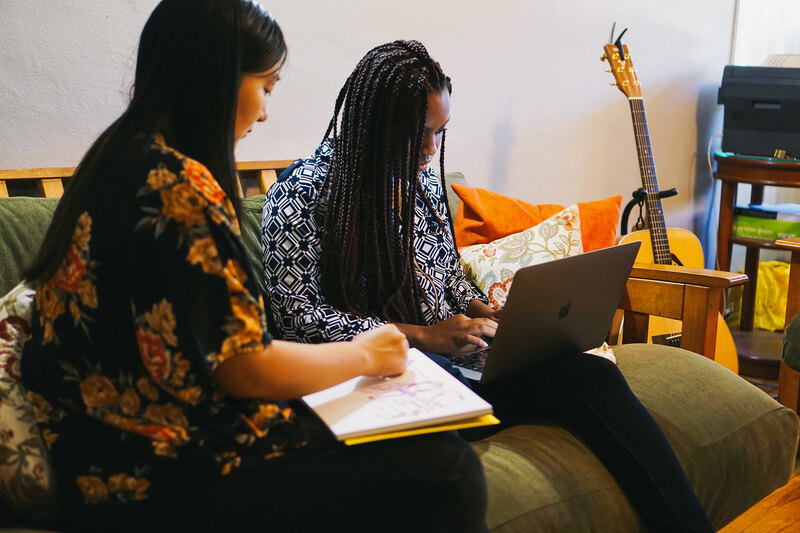 When she’s not working at her New York Theatre Workshop literary fellowship, Rodriguez has taken steps to turn her apartment into a home. She’s excited about her bookshelf, she says, “because there are all the books I don’t have to read for school on it.” She’s had a few friends over for dinner and a movie, and one time a colleague slept overnight on the couch after a late-night outing. The calming teas and favorite mugs she brought from home have helped create a cozy feeling. 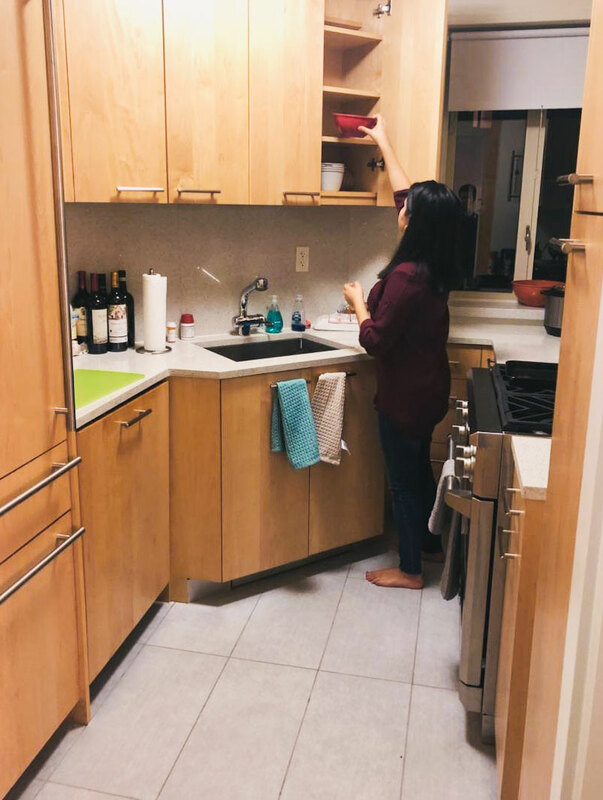 Christiana Lee is one of four alumnae settling into post-college life in a three-bedroom, one-bath house in Redwood City. On Lee’s move-in day, housemate Elizabeth Davis, ’17, was soon at her side, helping Lee lug suitcases into the bedroom she would share with friend Emily Ling, ’18. Within minutes, Lee and Davis learned they have the same Myers-Briggs personality assessment (ENFP: extraversion, intuition, feeling and perceiving). Still, creating a home together can be difficult when schedules vary as widely as theirs do. 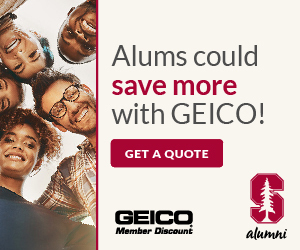 Karen Lu, ’17, is a software engineer at Facebook; Ling is a master’s student in computer science; and Lee, ’18, is an analyst at King Philanthropies. Davis, meanwhile, works long hours at Greo, the video conversation app she cofounded. Getting home at 2 a.m. is not unusual for her. The housemates have assigned chores and plan to decorate. 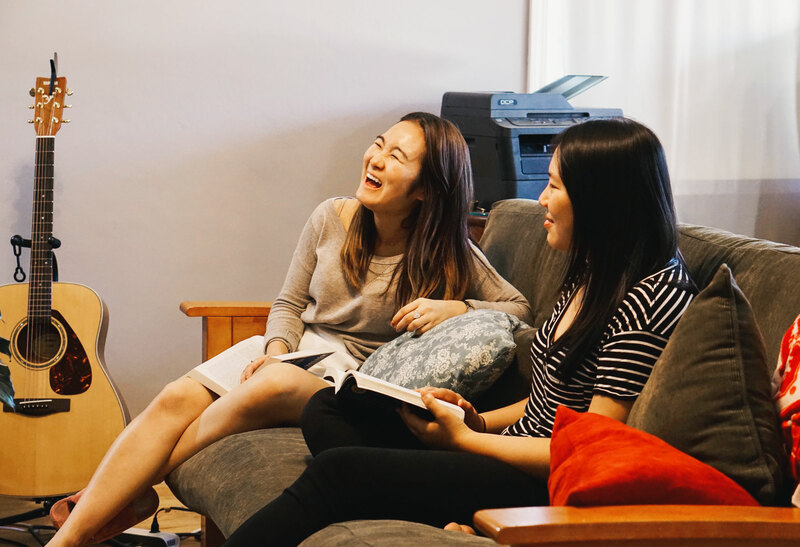 And when they’re not working, you might find them together in the kitchen, where former housemate Lydia Tam, ’17, strategically placed a blue couch. According to Davis, it has made the kitchen the most inviting part of the house. “It’s weird until you try it,” Tam says.